Current is the rate at which electrons flow past a point in a complete electrical circuit. At its most basic, current = flow. 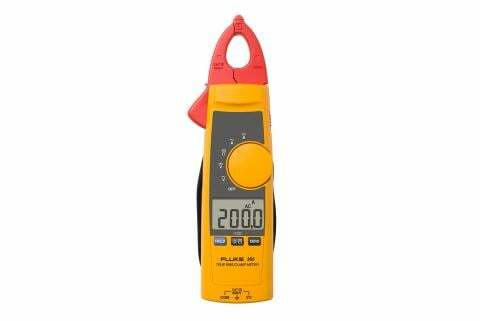 An ampere (AM-pir), or amp, is the international unit used for measuring current. It expresses the quantity of electrons (sometimes called "electrical charge") flowing past a point in a circuit over a given time. A current of 1 ampere means that 1 coulomb of electrons—that's 6.24 billion billion (6.24 x 1018) electrons—is moving past a single point in a circuit in 1 second. The calculation is similar to measuring water flow: how many gallons pass a single point in a pipe in 1 minute (gallons per minute, or GPM). A = amperes, for a large amount of current (1.000). mA = milliamperes, a thousandth of an amp (0.001). µA = microamperes, a millionth of an amp (0.000001). In formulas such as Ohm's Law, current is also represented by I (for intensity). A magnetic field is generated around a conductor as current passes through it. The strength of that field is directly proportional to the amount of current flowing. The circuit includes an energy source (a battery, for instance) that produces voltage. Without voltage, electrons move randomly and fairly evenly within a wire, and current cannot flow. Voltage creates pressure that drives electrons in a single direction. The circuit forms a closed, conducting loop through which electrons can flow, providing energy to any device (a load) connected to the circuit. A circuit is closed (complete) when a switch is turned to the ON, or closed, position (see diagram at the top of this page). Current, like voltage, can be direct or alternating. Represented by the symbols or on a digital multimeter. Flows only in one direction. Common source: batteries or dc generator. Flows in a sine wave pattern (shown below); reverses direction at regular intervals. Common source: household electrical receptacles powered by a public utility. 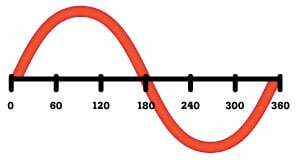 Above: Alternating current in the form of a sine wave. 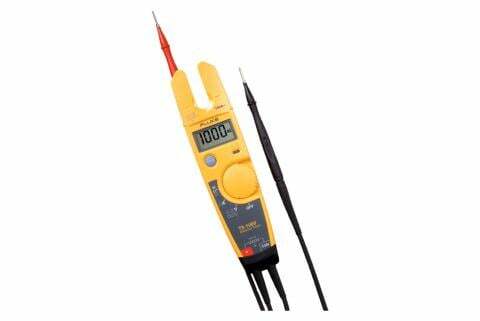 Most digital multimeters can measure dc or ac current no higher than 10 amps. Higher current must be scaled down with a current clamp accessory, which measures current (from .01 A or less to 1000 A) by gauging the strength of the magnetic field around a conductor. This permits measurements without opening the circuit. 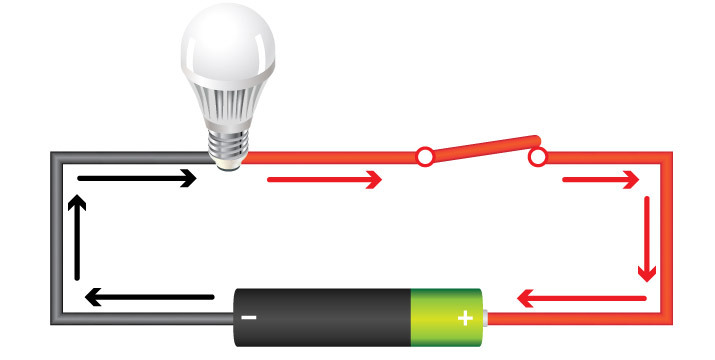 Any component (lamp, motor, heating element) that converts electrical energy into some other form of energy (light, rotating motion, heat) uses current. When additional loads are added to a circuit, the circuit must deliver more current. The size of conductors, fuses and the components themselves will determine how much current will flow through the circuit. 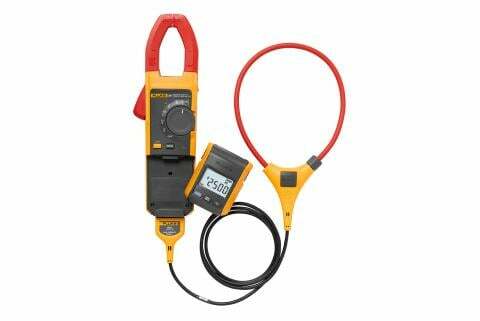 Amperage measurements are normally taken to indicate the amount of circuit loading or the condition of a load. 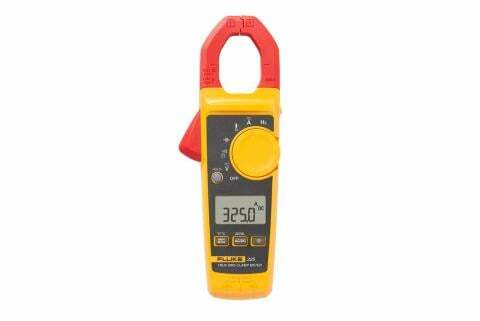 Measuring current is a standard part of troubleshooting. Current flows only when voltage provides the necessary pressure to cause electrons to move. Different voltage sources produce different amounts of current. Standard household batteries (AAA, AA, C and D) produce 1.5 volts each, yet larger batteries are capable of delivering greater amounts of current.